The Bumper Blocker- Bumper Protector is the most versatile bumper guard on the market and can be adjusted to fit most vehicles. 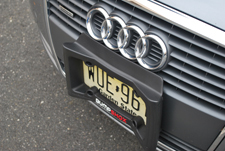 Like any product the Bumper Blocker will fit some vehicles better than others. 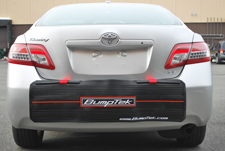 We do not recommend the Bumper Blocker for vehicles that have exhaust pipes high in the bumper. 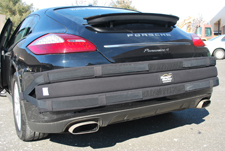 Example: Rear Bumper of Porsche Cayenne SUV, Rear Bumper X5….etc. WARNING: Bumper Blocker should always be attached above and away from exhaust pipes, and secured in place with the rear security straps. 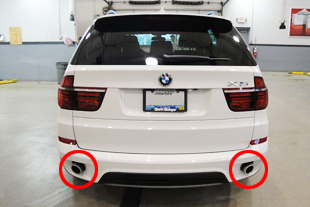 The Bumper Blocker should never cover, block or come in contact with the vehicles exhaust pipes, since this may result in product damage, vehicle damage and cause exhaust fumes to back flow into vehicle causing injury or death. 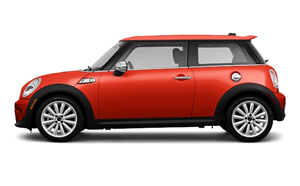 We do not recommend the Bumper Blocker for Extra Small Vehicles such as the Mini-Cooper or Smart Car and Extra Large SUVs such as an Expedition, Excursion, Escalade. 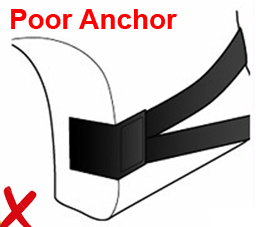 We do not recommend the Bumper Blocker for vehicles that have poor anchor points for end hooks. 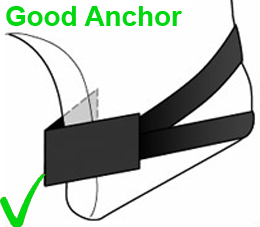 The Bumper Blocker requires a good anchor point for the end hooks - this is the part that grabs onto the bumper edge. If the plastic wheel liner and bumper edge are perfectly flush there is no good anchor for the hooks to grasp onto. Some American cars from Ford and Chevy have flush wheel liners. So, you need to look at your vehicle and decide. If you are unsure than send us an e-mail inquiry. 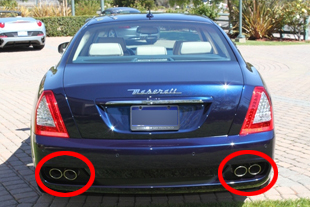 Remember front and rear bumpers may be different so check both. 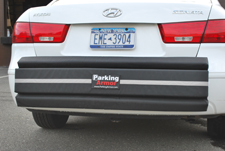 The Bumper Blocker - front and rear bumper guard is the ultimate vehicle bumper protection for NYC parking garages. Our patented front and rear bumper protector acts as a cushioned barrier, to help protect the car bumper from parking related nicks, scratches and abrasions. 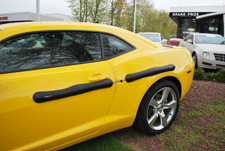 Most car bumper guards protect only part of the bumper, our front and rear bumper protector wraps around the entire car bumper for maximum car bumper protection. 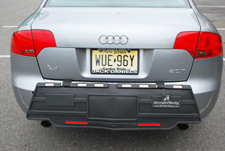 Bumper Guard Patented Technology: The Bumper Blocker patented technology provides a custom fit for various size vehicles. The “Flex Channel” system and “Quickjust” Velcro gives you a custom fit. Unlike other bumper guards, our front and rear bumper protector provides complete coverage of the vehicle’s rear bumper, including the corners of the vehicle – the area of your bumper that is most vulnerable to abrasions.